The sport of stand up paddleboarding (SUP) has been exploding over the past 5 years and Island Water Sports has been a part of it since the beginning. Miami and paddleboarding; two words that go hand in hand. Warm temperatures, warm water, and easy access to the ocean, bay and inter coastal makes Miami the ideal place to pick up the sport. The staff at Island has been riding and selling SUP’s since 2005 and has seen many changes in the sport. Not only have we seen the size, dimensions, and construction of the paddleboards change but we have also seen the usage of the boards change as well. 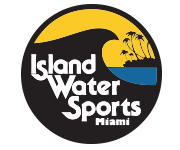 Whether the paddle boards are used in the surf, for racing or just recreational cruising in the inter-coastal, we at Island Water Sports Surf Shop have the knowledge to get you started. Come in and talk to your paddleboard Miami pros and we’ll get you on the water and stand up paddle boarding today.